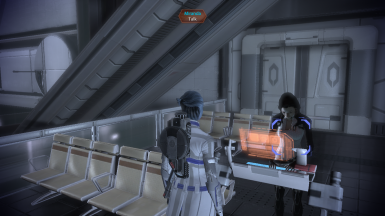 After long hours, me, simple mortal with no special modding skills, managed to figure out how to play as other NPCs of Mass Effect Universe, and by that I mean Mass Effect 1, 2 and 3. Mass Effect 1 is boring as hell, so I probably won't be making any mods since you can find quite plenty of them around the net. Well, as for mods, I mostly do Play as (NPC) thing, but I can also do some minor .ini tweaks. My NPC mods don't make you play that special character completely, you only get his look, and sometimes there are bugs and clipping issues I can't fix, but everything which seems playable enough to me, I'll think about posting it here on the Nexus. I'm no modder by any means, I just want to share my personal work with you mambo-jumbo badonkadonks. If you like my work, and you need help with something I already posted, feel free to ask me for help. If you don't like it, there is no point asking me anything. 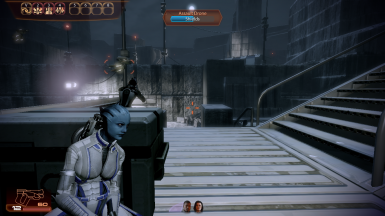 Mod to play as Liara in Mass Effect 2. In essence you will be wearing the mesh as an armor(Kestrel armor; best armor by stats in my opinion). 1) RCW ME2 ModManager v0.3 LINK IS DEAD ! Navigate to my other mod, "Play as Garrus", go to files and the download should be there. Big thanks to RangerDulann for making installation steps, I was to lazy to write them down myself. - Fix any of these issues and let me know, I will give you credit for it and everyone will be happy. - DON'T download this file. Other than these 3, there are no issues I'm aware off. If by any chance you run in some, let me know. 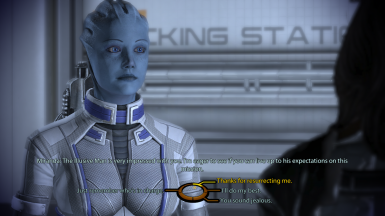 - I thought about making changes to Coalesced.ini so your character will be asari by default, which will make this completely different mod. -RangerDulann, who gave me idea of creating this mod, and probably all others, since I used his example. Don't forget to check out his mods here. -ThunderTactics/Bioware for the original code.